Learn how Jason Smith turned his career life around and opened a local barbecue joint. Personalized rubs add to intense flavoring. If there’s one thing Columbus isn’t lacking, it’s quality and ground-breaking cuisine. Jason Smith is one of the reasons why. An insurance agent-turned-bartender-turned-master cook, Smith was inspired by perfect portions and homestyle barbecue to create his business, Meatery BBQ. Specializing in custom spice rubs, wood-fired meats and homemade barbecue sides, Smith has created more than just a typical restaurant. Although Smith’s culinary journey began as experimentation in his back yard and barbecue competitions, he now works in a commercial kitchen with the highest-quality ingredients to prepare catered food for special events and as many as 12-15 different establishments around Columbus. Along with his catering and delivery services, Smith works with local fitness entrepreneurs and gyms to create Perfectly Portioned Meals. These pre-cooked and pre-packaged meals provide even the busiest health-conscious individuals an avenue to eat right. “The biggest issue that I think everyone has is not only eating healthy but getting healthy food that tastes good,” Smith says. By using high-quality ingredients and an expert combination of proteins, starches and vegetables, Smith is transforming barbecue from a guilty pleasure to an enjoyably balanced meal. As Smith explains, the key to fresh and flavorful barbecue begins with wood-firing the meats. Instead of traditional grilling, this method includes cooking meat on an open flame with basic charcoal and the addition of specialized chunks of wood with a variety of vegetables to create smokiness and flavor. Add a variety of intense spices via Smith’s personalized rubs, and you have mouthwatering meats that can be frozen and eaten weeks later. Although it’s best to experience Smith’s recipes straight from the master himself, his rubs and sauces are also available at select retail locations in Columbus such as North Market Spice Ltd., to allow novice cooks the opportunity to create their own fabulous barbecue at home. Partnering with Columbus restaurants is one way that Smith continues to grow and expand his business. If you’ve ever eaten at Combustion Brewery & Taproom, you’ve probably already tasted some of his work. Combustion Brewery doesn’t have a full-service kitchen, which is where Smith and his team come into play. His smoked and steamed meats are easily reheatable, and he delivers to multiple restaurants to enthrall as many taste buds possible. This slightly untraditional business model may seem strange to some, but it’s exactly how Smith likes it. “Most restaurants are very big on promoting themselves and their name needs to be all over it. All I really care about is that people enjoy what I make,” says Smith. 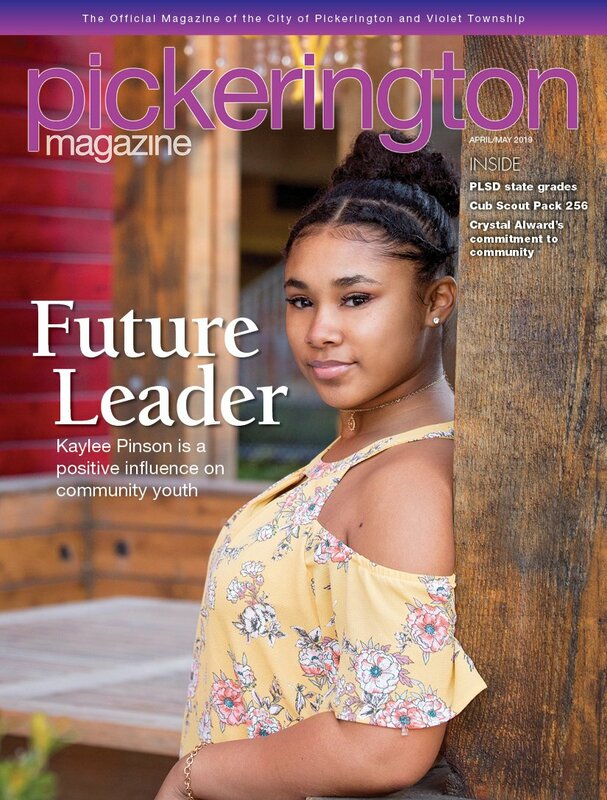 It was through his relationship with Combustion, as well as his core desire to bring good food and happiness to the people of central Ohio, that led to his collaboration with the Pickerington high school bands. While most establishments are focused on promoting themselves, all Smith really cares about is that people enjoy his creations. A fundraising event served around 110 guests with a personalized meal designed and cooked by Smith in an effort to raise funds for the band’s trip to the Tournament of Roses Parade in January. The menu consisted of a meat, cheese and smoked vegetable appetizer, three different meats including brisket, pulled pork and smoked bone-in chicken breast, as well as arugula salad, white cheddar mashed potatoes, and mac and cheese. Barbecue fans themselves, the Pickerington band directors expressed their excitement for Smith’s high-quality presentation. In fact, interacting with individuals, including getting to speak to guests at the fundraiser, is one of Smith’s most cherished aspects of his job. “I enjoy the interaction with people. Just talking and seeing what they need. Because whether it’s a restaurant, a group like the Pickerington high school bands or just someone having a birthday party, they have certain things in mind. It’s just good to talk with people and figure out what they like, what they want and see how I can help them out,” says Smith. While Smith says the process of smoking meat is as relaxing as sitting around a campfire, he works tirelessly to create simple dishes that everyone knows and loves in a unique, rich way that highlights flavors most people don’t expect. For more information about Jason Smith and Meatery BBQ, visit www.meaterybbq.com. Start by cooking 16 ounces of Cavatappi pasta and preheating an oven to 350 degrees. In a separate pan melt 3 tablespoons of butter and add flour. Mix butter in pan with flour until it becomes brown. Once browned, add milk and a pinch of salt, pepper and any other seasonings you would like. Once the seasoned butter and milk mixture thickens, add Vermont white cheddar cheese and mild cheddar cheese. Stir the mixture to help blend the cheeses. After everything is completely mixed, pour the cheese sauce over the cooked pasta in a 9-by-13-inch. Add additional shredded cheese to the top of pan if you would like. Place pan in the oven for 30 minutes or until the top is browned.